...she is the only one who accepted my healing, and she visits from time to time, the only way she can repay her debt, because everyone knows that foxes are very serious about gratitude." Sunday Sentence is a weekly meme hosted by David Abrams over at The Quivering Pen. I received my copy of Fog Island Mountains as a Christmas gift from my family. 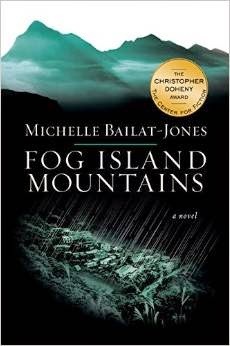 Fog Island Mountains sounds like a beautiful book. Happy New Year!